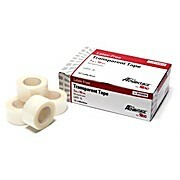 High quality porous clear tape that is perforated to be easily torn bi-directionally. Excellent for I.V. 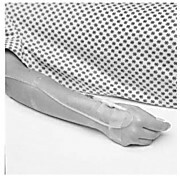 sites, dressings, and tubing retention. Conforms and stretches to accommodate movement. Ideal for securing I.V. 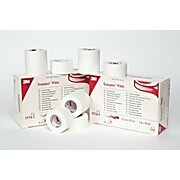 tubing and catheters, primary wound dressings, tubing and drainage lines. Micro perforation allows for bidirectional tearing. Easy to tear and stretch. Highly porous for breathability. Water resistant, hypoallergenic and latex-free. 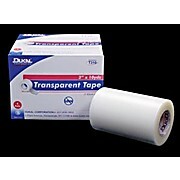 Occlusive, transparent plastic tape. Transparent to allow monitoring. Waterproof. Flexible for hard-to-tape areas. Hypoallergenic. 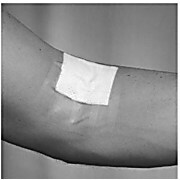 Occlusive test patches.